An archaeological excavation of the Penzance Heliport has been completed, revealing new details about the site and the changing character of the local coastline. We recently shared the exciting news that preparatory groundwork has commenced on the Penzance Heliport site, but before that work could get underway a full archaeological study took place. 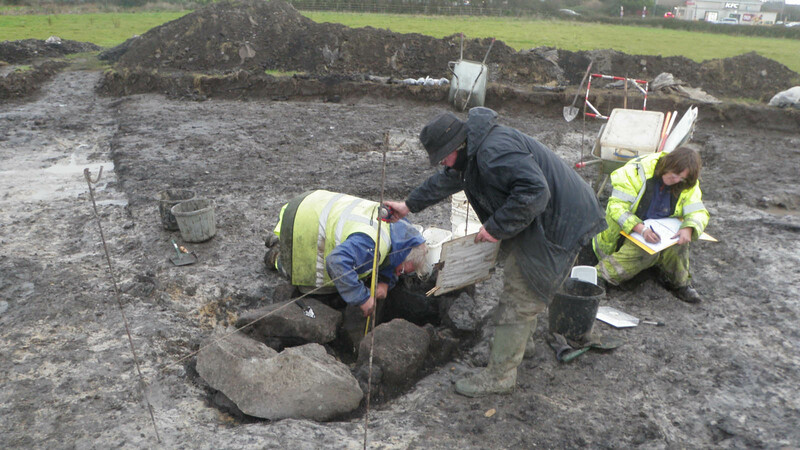 The two week archaeological survey uncovered a Bronze Age barrow. Within the monument, several artefacts were unearthed, including worked flint, a prehistoric stone muller (used for grinding), and a copper alloy object. The archaeological excavation was one of the planning conditions for Penzance Heliport, which will reinstate helicopter flights between Penzance and the Isles of Scilly. The excavation was completed by the Cornwall Archaeological Unit, part of Cornwall Council. 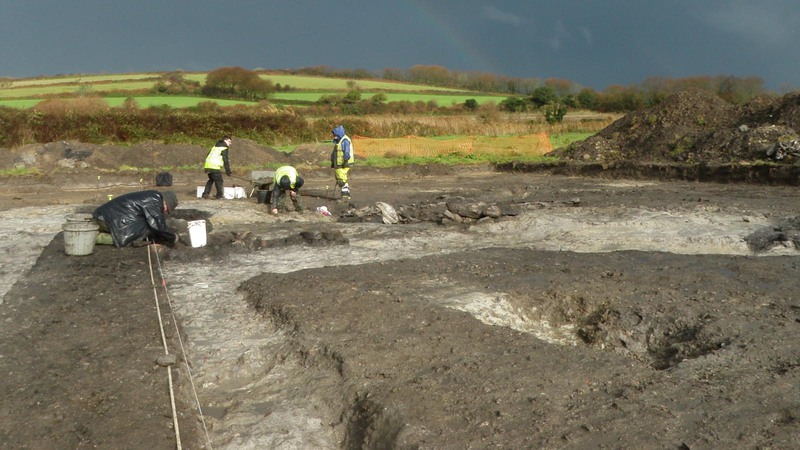 The Unit undertakes a range of archaeological work including excavations, analysis, surveys and assessments and is staffed by qualified archaeologists with a range of interests and experience both in and beyond Cornwall. 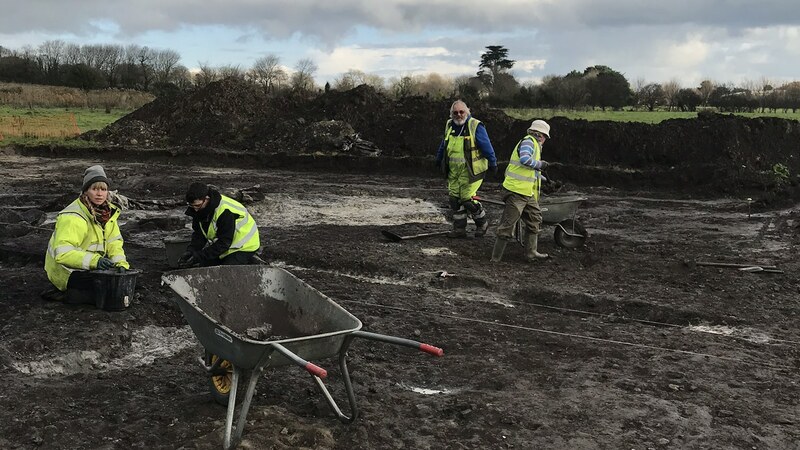 Anna Lawson-Jones, a Senior Archaeologist for Cornwall Archaeological Unit who directed the excavation, said: “Archaeological survey has proved particularly useful for this project. It has confirmed the presence of a Bronze Age barrow in an unusually low-lying setting. “The excavation of the barrow has established its character and complexity, producing artefacts and soil samples suitable for radiocarbon dating and environmental analysis. This will help place the barrow and later pits within their contemporary setting. Barrows are monuments made up of mounds of earth and sometimes stone. The barrow found on the Penzance Heliport site was found to consist of a low mound of clay and stone surrounded by a ditch. The mound covered a central double stone cist which could have held a burial dating to the Bronze Age (around 2000 – 1500 BC), although no remains survive due to the acidic ground conditions. Barrows often contain archaeological artefacts. The Penzance Heliport barrow contained a blood red pebble and a copper alloy object, found in the central cists and a worked flint from the ditch. A prehistoric stone muller was also unearthed, although this had been disturbed from its original position and was included within a later pit. Victorian and later kitchen waste had been used as landfill in the immediate vicinity of the barrow. The barrow has now been fully excavated. The soil samples taken will be analysed to provide contemporary environmental detail and radiocarbon dates. A just completed programme of auger survey and core-sampling from the immediate vicinity will provide further information about the wider site and it’s past. Diana Mompoloki, from Penzance Heliport Ltd, said: “It is incredible to think that, had it not been for the heliport, these important archaeological remains could have gone undiscovered. 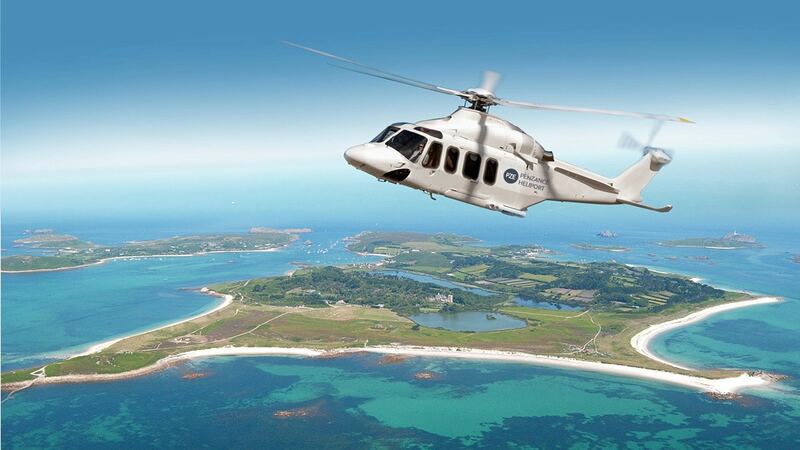 Helicopter flights to the Isles of Scilly are due to commence from Penzance Heliport in spring 2020, with tickets on sale later in 2019. To receive offers and updates, subscribe to our email news using the form below.